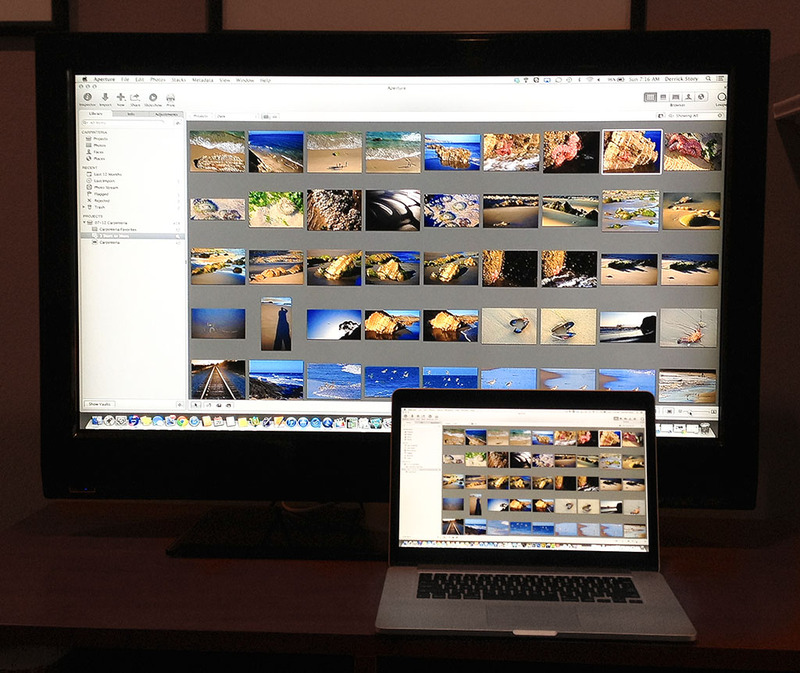 One of Mac OS X Mountain Lion's most tantalizing features for photographers and teachers is AirPlay Mirroring. With just one click, you can share your computer screen with any HDTV wirelessly via an Apple TV. 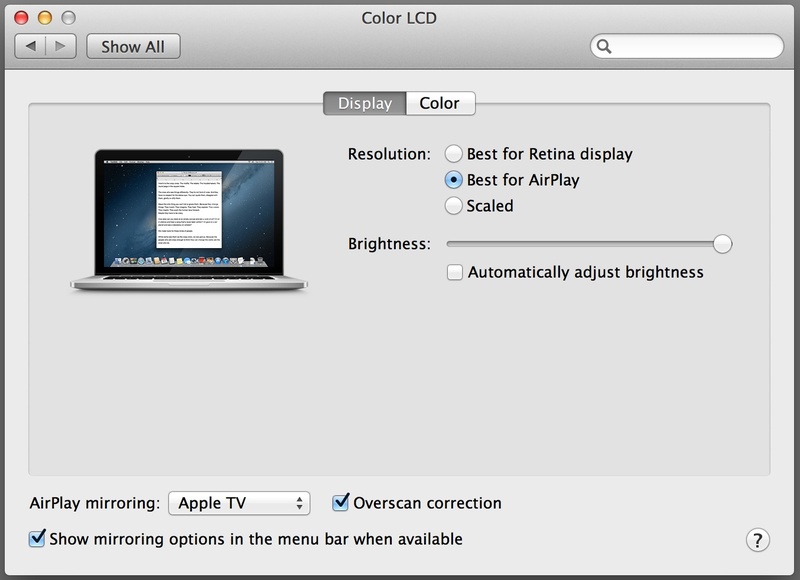 I tested AirPlay Mirroring running Mountain Lion on a MacBook Pro 15" Retina display to my Panasonic LCD HDTV via a second generation Apple TV. The first thing I noticed is that there is no set up. I turned on the Panasonic, then chose Apple TV from the AirPlay icon in the top menu bar of the laptop. My computer screen instantly appeared on the HDTV. I fine-tuned the image by opening Display Preferences and choosing "Best for AirPlay." Now, even the typography looked decent on screen. This feature is terrific for sharing photography. My Aperture images looked very crisp onscreen. I played an HD movie that I had created, and the transitions were remarkably smooth. Every now and then there would be a momentary stutter on long Ken Burns effects, however. Audio is also piped through the Apple TV to the HDTV. I'm not sure I would watch a full featured action movie using AirPlay Mirroring, but for teaching and presentations, this is dynamite. Once I was done sharing, I chose "Turn Off AirPlay Mirroring," and everything went back to normal on both computer and TV. This is a feature that will make it easy for photographers to share their work with family, friends, and small groups. I was hoping to find a description of the process and results exactly like this online. This is it! Now I have to buy the new MPB retina for sure, and soon! Just gave it a try with AirPlay. Works pretty cool. The MBPR is in another room (home office) and the LED Sharp TV (AppleTV) is in the living room. Connected with no problems and looks great. I bought my Macbook Air 6 months too early for Airplay to work with my computer but found a program that does the same thing (AirParrot). If you have an older Mac that AirPlay won't work on, you should give AirParrot a look.